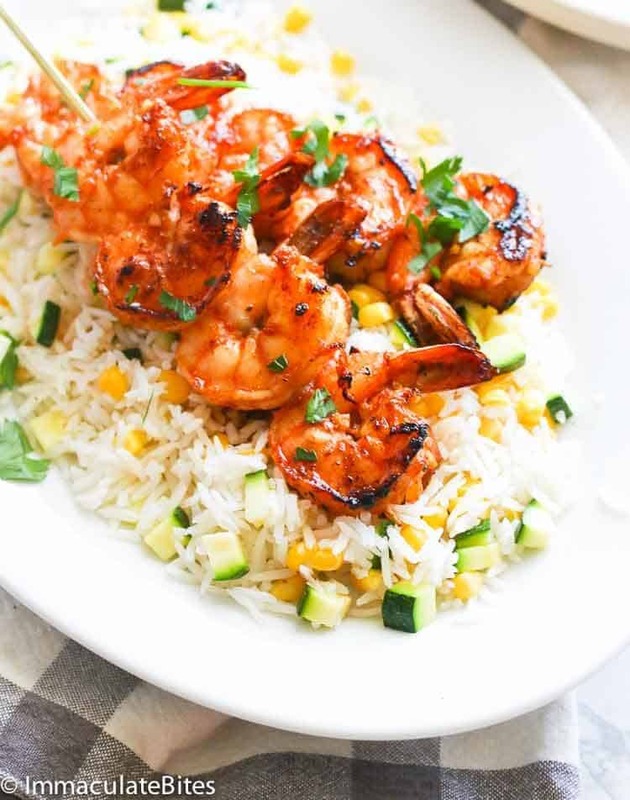 Marinated Grilled Shrimp – a simple yet out-of-this-world grilled shrimp recipe soaked in an incredible sweet and spicy marinade. A feel good grilled seafood for this warmer season! Makes a great family weeknight meal for for entertaining. I probably could easily transition to vegetarian if not for STEAK and SHRIMP. But I don’t have plans yet on giving up these mighty food anytime soon ’cause they simply make dinner a breeze while satisfying your soul. Now that summer is almost (hello, soup season), I decided to fire up the grill more often to make the most out of the few weeks of summer. 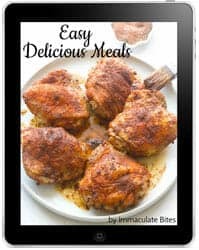 As you can see, I’m in full summer swing this year with my wide array of scrumptious grilled recipes like these Marinated Grilled Flank Steak, Grilled Lamb Chops, aaaand, of course, this Marinated Grilled Chicken Breast. See how I’m in love with summer?! 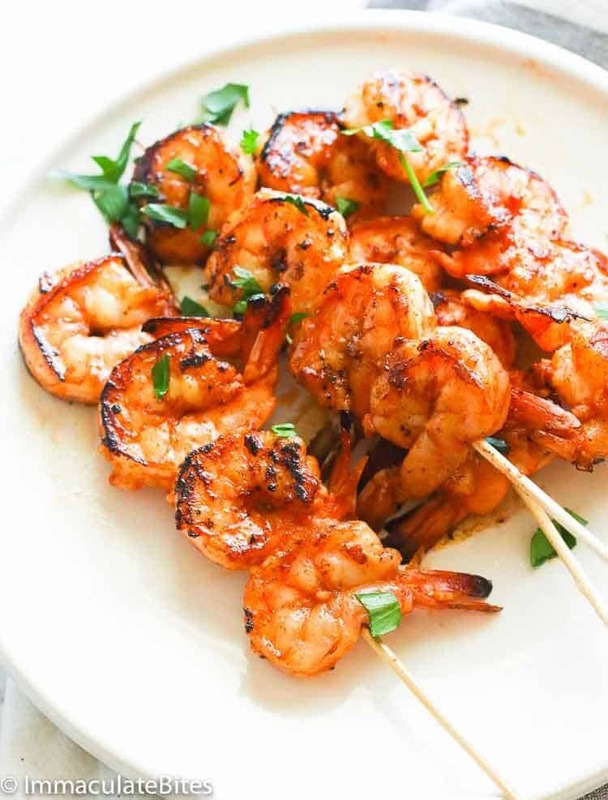 But this list would be nothing if I won’t share to you a grilled shrimp recipe. 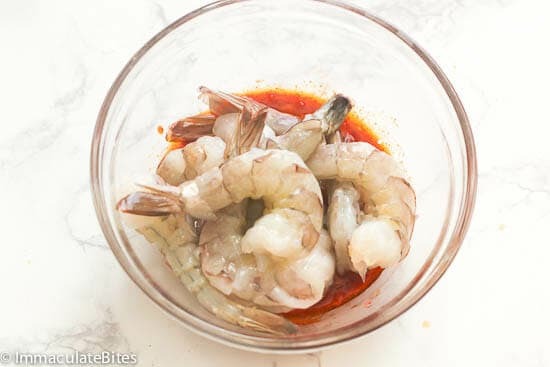 Trust me, hubby keeps on bugging me to share one and here it is – my Marinated Grill Shrimp! 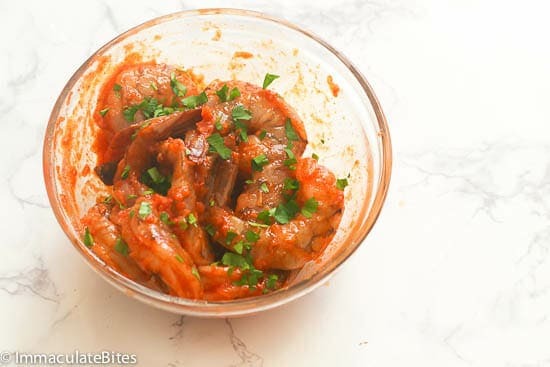 These Marinated Grill Shrimps are soaked in an easy, spicy and sweet marinade which uses just a handful of simple pantry staple ingredients. It is seasoned with cumin and paprika and a kiss of lemon for that vibrant texture. I’m calling them the “mighty fine shrimps” ready to take over the whole world. Just toss them in a ziploc bag or a glass bowl and marinate them in the fridge for at least 30 minutes. The best thing about shrimps is that they are so easy to cook! They grill up in just a matter of 4-5 minutes per side while retaining all the flavors. It makes a great busy weeknight dinner or as appetizers for your next BBQ party. It taste waaay better than all those processed food and it’s healthier! And you can never go wrong when you pair it with this coconut rice added with diced cucumber and corn kernels. I won’t hold you off for too long. 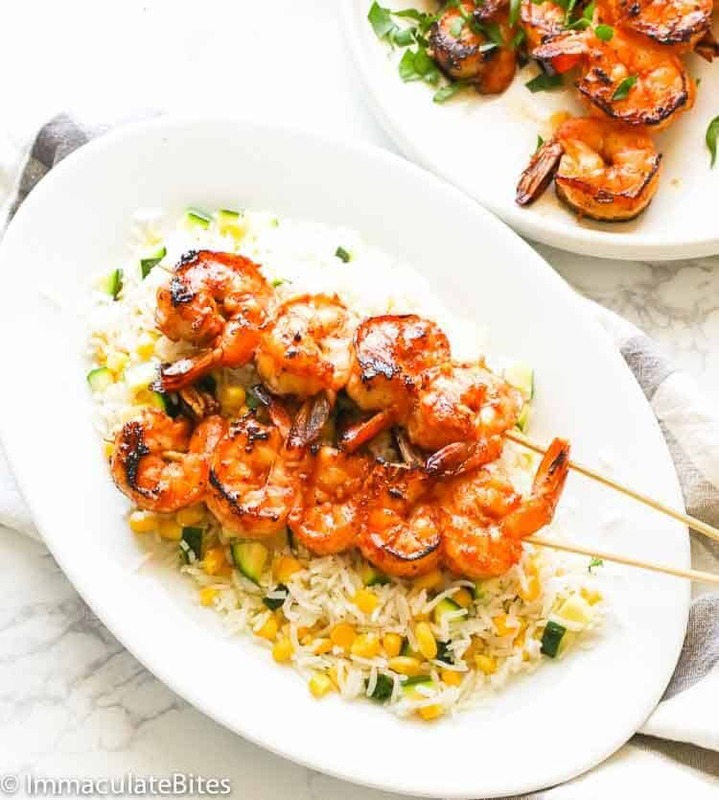 Now get going and impress your family and guests with a tray of these beautifully charred, saucy and intensely flavorful marinated grill shrimps. You can absolutely eat the whole batch! Large and jumbo shrimps are the perfect choice for grilling. Deveined shrimps are preferred when working on this recipe. 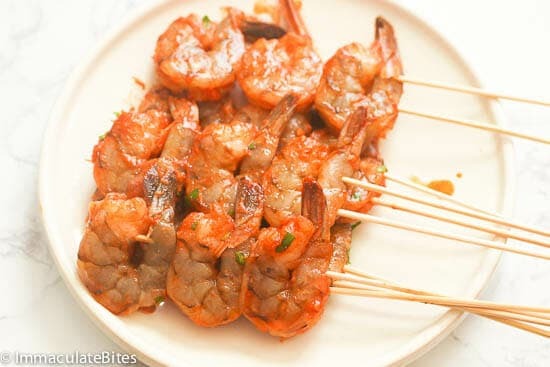 Without the shells, shrimps are a lot easier to skewer and it allows the marinade to have more impact to the shrimps. Soak wooden skewers to prevent the wood from burning when grilling. If yo’re using metal skewers, and make sure to spray it with a small amount of oil. If you’re grilling precooked shrimps, just flavor them up and simply heat up for 30 seconds to a minute per side or no longer than 2 minutes. 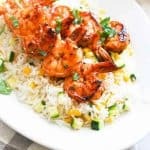 Marinated Grilled Shrimp – a simple yet out-of-this-world grilled shrimp recipe soaked in an incredible marinade. A feel good food especially this warmer season! Makes a great family weeknight meal for for entertaining. If desired, soak skewers for at least 20 minutes totally submerged in water before using it to prevent burns. Heat the grill to medium high heat. If using grill pan lightly spray or oil to prevent the shrimp from sticking to the pan. In a medium bowl, mix garlic, paprika , cumin, olive oil, lemon juice , honey and cayenne pepper and salt .Reserve about a tablespoon for basting . Add shrimp to the mixture; thoroughly mix. Let it marinade for about 30 minutes. Then add parsley to the marinated shrimps. Thread the shrimps onto the skewers about 3-4 per skewers. Making sure the front on the skewer is fully covered with shrimp. Cook shrimps for about 4-5 minutes per side, or until opaque, basting frequently with reserved marinade. Serve warm with vegetables, rice or with dipping sauce. If desired, soak skewers for at least 20 minutes totally submerged in water before using it to prevent burns. Heat the grill to medium high heat. If using grill pan lightly spray or oil to prevent the shrimp from sticking to the pan. 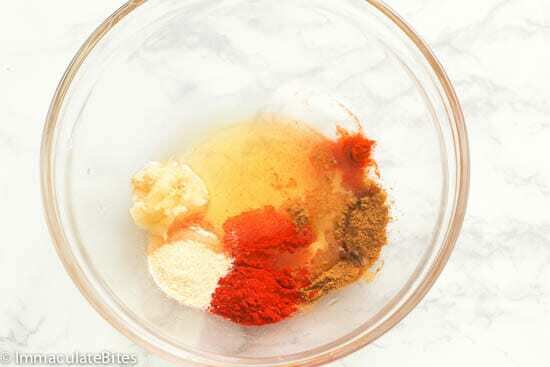 In a medium bowl, mix garlic, paprika , cumin, olive oil, lemon juice , honey and cayenne pepper and salt. Reserve about a tablespoon for basting . Add shrimp to the mixture; thoroughly mix. Let it marinade for about 30 minutes. Add parsley to the marinated shrimp. Thread the shrimps onto the skewers about 3-4 per skewers. Making sure the front on the skewer is fully covered with shrimp. Cook shrimps for about 4-5 minutes per side, or until opaque, basting frequently with reserved marinade. Serve warm with vegetables, rice or with dipping sauce. This recipe is outstanding! 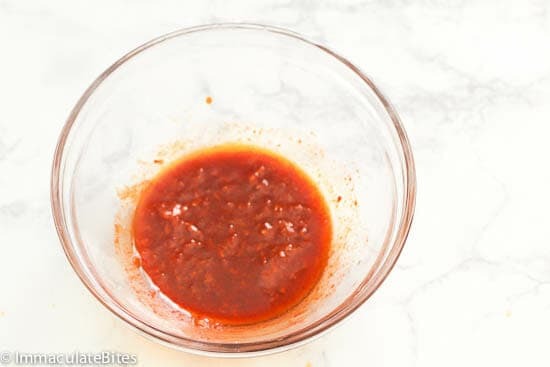 The marinade is the perfect blend of sweet and spicy. (I doubled the recipe for 2 pounds of shrimp and marinated it for an hour.) The flavors are wonderful, and the shrimp tasted like an entre’e found on the menu of a high-end restaurant. Aww, thank you so much Linda!!! So happy to hear it was a hit . Can cooked shrimp be used, if so what would the procedure be Imma,appreciate your site and graciousness. I would marinate shrimp and saute for a for a few minutes, until they are warmed. Do not over cook . Happy Cooking!!! This was absolutely wonderful! Rather than skewer and grill them, I sauteed them in a bit of olive oil. They developed beautiful color and cooked really quickly!! I will definitely be making this again soon!!! Yay! So happy to hear this Lisa. Thank you so much!!! This looks so good, thanks for sharing. 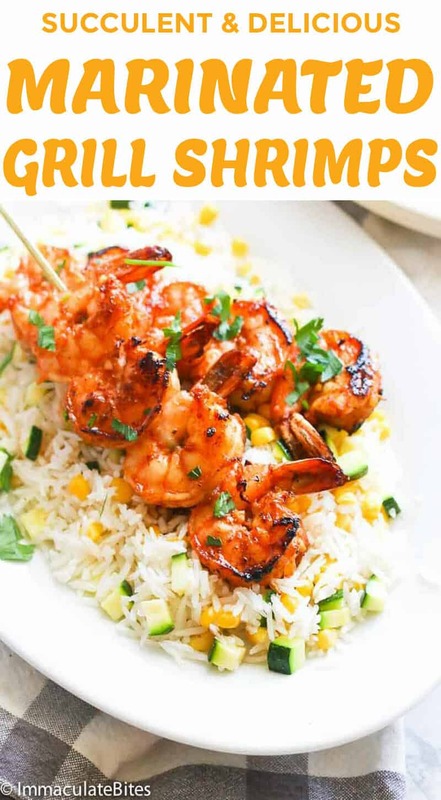 I’m a little confused on this recipe for Marinated Grill Shrimp and I am hoping you’ll help me out. Just above the last ingredient it says 1 – 1 1/2 Large Pound. Was this supposed to say something like 1 – 1 1/2 Pound Large Shrimp, or something like that? Thank you in advance for your help and great job. Hi Craig, Yes it’s between 1- 1 1/2 pound shrimp . Do let me know how it works out for you. Thanks for giving it a try. Hi Imma! Thanks for the recipe – I’m excited to try it! 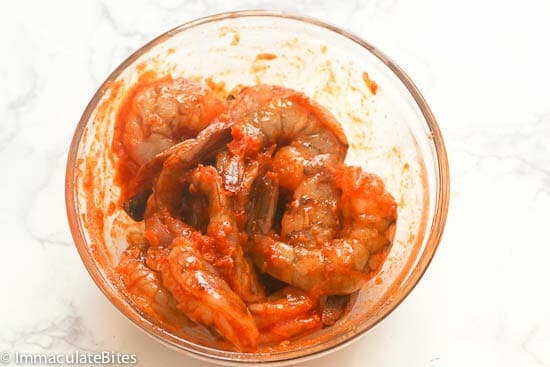 How much shrimp do you normally use for the marinade? About a pound? Thanks! Hi Abby! So excited you want to give it a try. About a pound would work. What if you don’t like to spicy?